iPhone 6 has NFC!!! So what - still no NFC Tag Support! Not surprisingly, even though NFC is built into Apple's latest phone, they've locked it down tight, which is par for the course when it comes to Apple. The NFC was put in for one purpose - Apple Payments - and while this is good news for Android fans in that it means more retailers will likely be willing to install NFC payment options which will allow us to use Google Wallet at more places, it means new iPhone 6 owners will NOT be able to use NFC Tags with their phone to trigger events or settings or share information the way Android owners can. It's too bad because a LOT of people are obviously still loyal to Apple and for anything to be fully adopted and integrated in society it needs to function on both platforms. 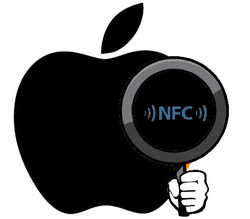 So I am a little disappointed, but not at all surprised as it's what I always suspected Apple would do with NFC. What do you think? For those who don't already know, besides running the AndyTags NFC Store, I also run a "sister" website, hollywoodfrodo.com and an associated YouTube Channel under the same name (hollywoodfrodo) where I have over 200 videos showcasing some of the best apps available to make your Android phone even better. I also have about 50 Tasker Tutorial videos for those who wan to learn about Tasker and improve their Tasker skills to really take their phone to the next level. In addition, I also review a lot of great electronics including Android/iPhone/Tablet accessories as well as many household products and gadgets. So whether you want to pick up a few cool apps for your phone, some really awesome gadgets and accessories, or become a better Tasker programmer, head over tohollywoodfrodo.com or the hollywoodfrodo YouTube Channel and check out some vids. 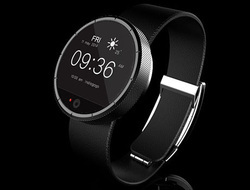 Can NFC help make a good SmartWatch Great? Smartphones with NFC has revolutionized the Near Field Communication world, although the practical uses of the technology are really just scraping the tip of the iceberg as of yet. But what about NFC on your SmartWatch. What if you could pay for your coffee, take the train with your monthly pass, or gain entrance to a club by simply tapping your watch all based on information stored there and shared via NFC?!?! That would be awesome, right?!?! Check out this article on TechRadar by Patrick Goss where he delves into more details about how NFC could really make the difference when it comes to the world of SmartWatches! Future NFC Phones to Have NFC All Over? NFC Chip Manufacturer Broadcom has filed a patent with the USPTO that would allow a chip in a phone to have multiple antennas. This would be great for NFC Smartphones as it would allow multiple "hot spots" on the phone so no more having to turn your phone a specific way and touch one specific area on the phone. 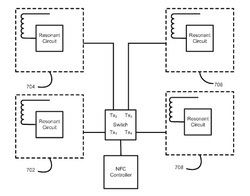 Of course, how these NFC Chips and their multiple antennas do or don't get integrated will depend mostly on device manufacturers, but it would be nice to be able to tap the top front or back of your phone to an NFC Tag which seems more natural than having to position a phone so the flat middle back taps a tag. According to an article on NFC World, Morgan Stanley has issued a statement saying they believe Apple will incorporate NFC into the new iPhone 6 and that the provider will be NXP. Of course, even if Apple does finally break down and include NFC in an iPhone, in true Apple form I'm guessing it will be locked down and probably only used for payments. While Android users can use NFC with NFC Tags to do all kinds of cool automation, the iPhone system doesn't really lend itself to any type of automation and customization so it remains to be seen if there will be other benefits to NFC on the iPhone than just mobile payments. Stay tuned to find out.... You can read the full article on NFC World HERE. Dimple NFC Buttons - Why didn't I think of that?!?! There's a new concept in NFC that's been all the rage on the Android news sites lately - it's called Dimple. And it's a quite simple, yet brilliant idea. Rather than having NFC Tags that you tap to make something happen - why not have several NFC Chips attached to one antenna that can all be attached to your phone and you simply press a "dimple" button that then engages that chip to trigger something on your phone. 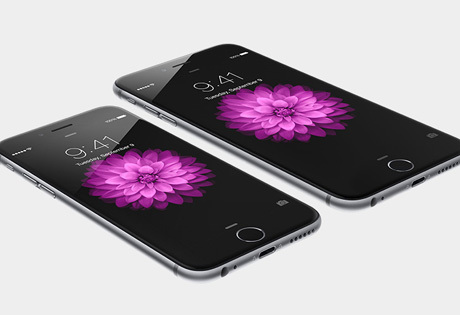 It basically gives you 2 or 4 extra phone buttons that can be programmed by you to do just about anything you want. The only drawback, if there is one, is that the buttons must be placed where they can interact with your phone's NFC. But for most people this would be a large area of the back of their phone which is the most likely place to put the extra buttons anyway since the screen takes up all the front real estate. Also, HTC One M8 users can't really make use of dimple because the metal body design required the NFC antenna to be put around the camera so the only way a dimple would work is if it covered the camera. If the basic concept of Dimple wasn't enough, they also made sure it had Tasker integration - something a true Android fan will love. Overall, I'm excited about this idea and eager to see how the general Android public adopts it. 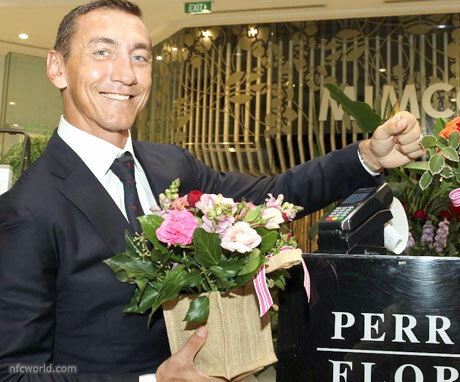 A company in Australia in conjunction with Heritage Bank and Visa PayWave offers Suit Jackets with NFC chips embedded in the sleeve so you can pay by swiping your sleeve. It's referred to as a Power Suit. Considering tech geeks are the only people right now really interested in NFC and none of the ones I know (including me) ever wear a suit jacket unless they are going to a funeral, I can't see this as a very practical idea. Still, I'm sure some wealthy Aussies will make use of it. I'd prefer a simple unnoticeable band that would work regardless of what I'm wearing. But that's just me! Don't you love it when large organizations finally catch up with what every day people want or often are already doing?!? There have been apps on Google Play for a while now that would allow anyone with the app to connect to your WiFi simply by tapping an NFC Tag you have programmed with the same app. 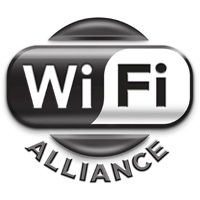 Now, according to this article on NFC World the WiFi Alliance has finally realized this is a good thing and this feature can now be programmed into your WiFi device. Much like BlueTooth Tap to Pair/Connect this will allow anyone to simply tap an NFC embedded chip and connect to the WiFi without needing to enter any passwords. LG is implementing NFC in home appliances such as refrigerators, stoves, and washers/dryers. Features allow you to manage machines remotely or in the case of a washer, download additional "modes" to the machine. LG first introduced the technology at CES earlier this year. A recent article on NFC WORLD gives a little more info about the Washing Machine NFC feature. Is an NFC Feature something that would sway you to LG over a competitor? Eric is the founder of AndyTags and the designer behind all of the tags available on the site. He also has an Android App Video review channel and an app or two on Google Play he created himself.